The museum was founded in 1949 by the industrialist Gautam Sarabhai and his sister Gira Sarabhai. Ahmedabad at that time had a flourishing textile industry. The museum was originally housed at the Calico Mills in the heart of the textile industry. But as the collection grew the museum was shifted to the Sarabhai House in Shahibaug.This is one of those rare gems where the entire experience is perfect. 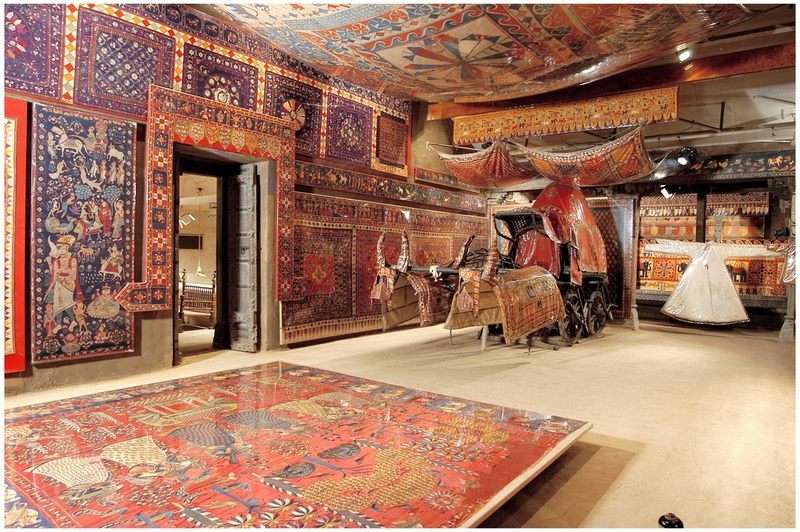 from the limited number of people allowed access each day, to the conducted tour and the actual exhibits that showcases the best of Indian textiles and fabrics. This is very much a ‘live’ museum since the sarees, and other fabrics breathe here. The displays are nothing short of imaginative and creative. This Museum is for the serious, not for those who want to just tick and touch and go. Make the effort to book your place well in advance, be patient in the entire process, and enjoy one of the best Museum experiences anywhere in the world.